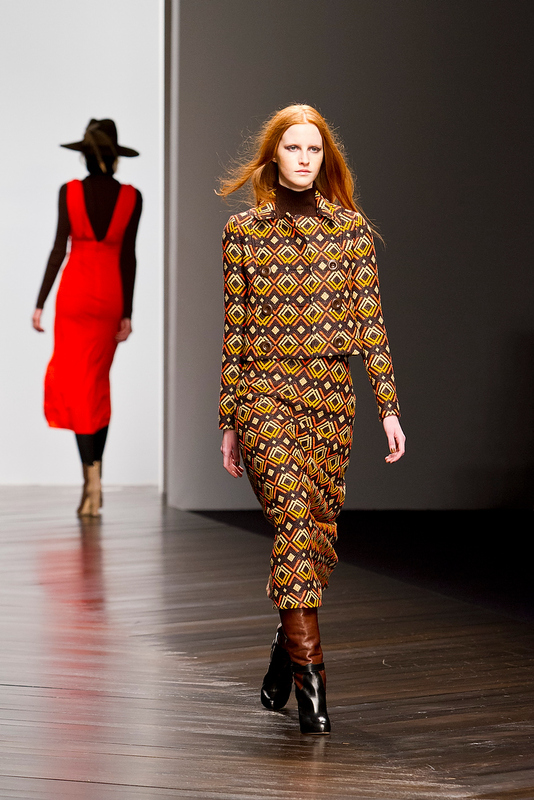 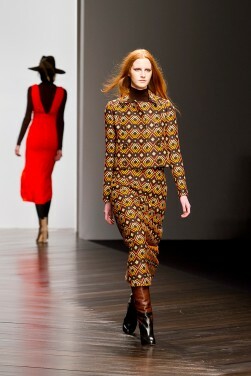 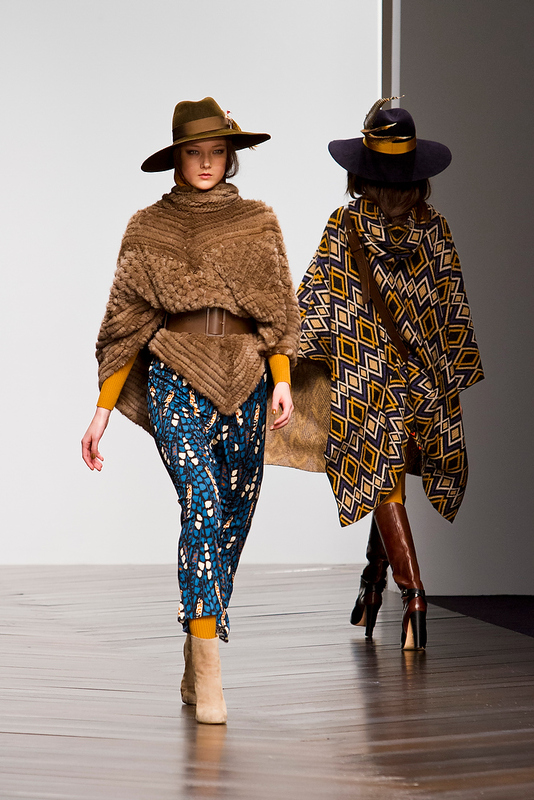 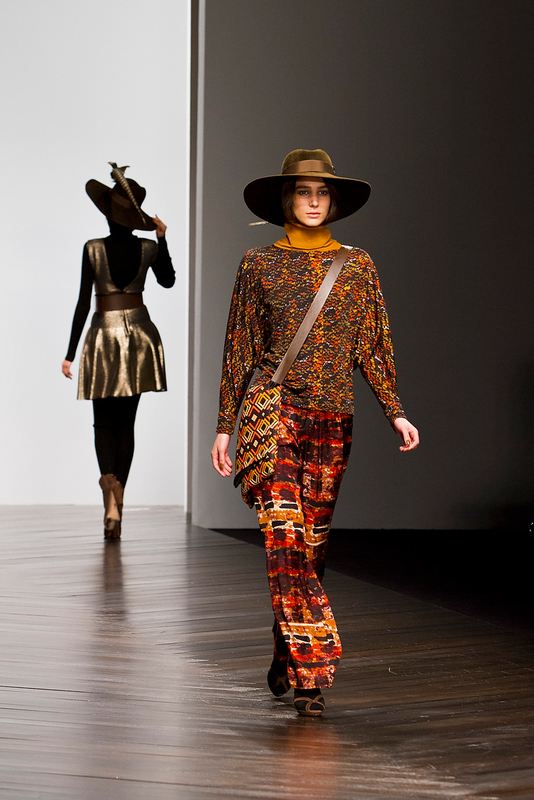 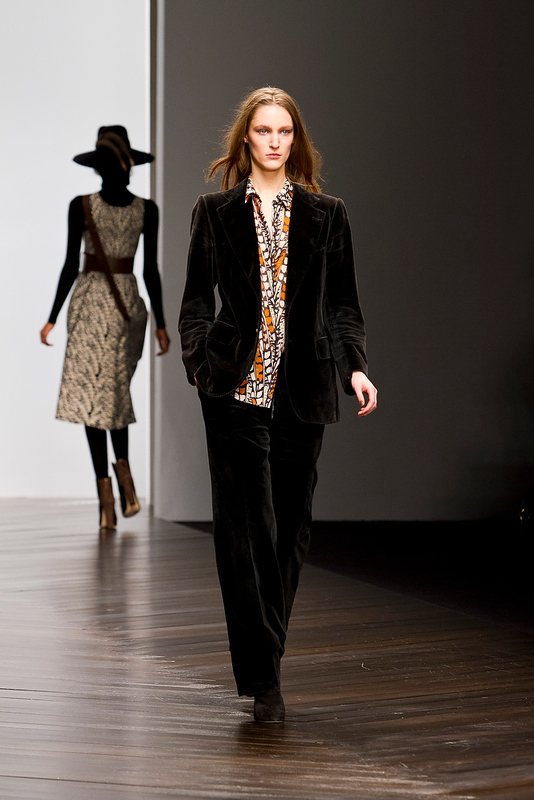 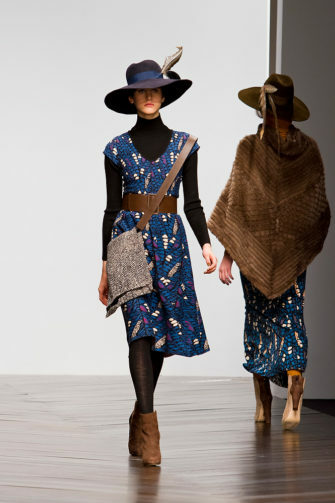 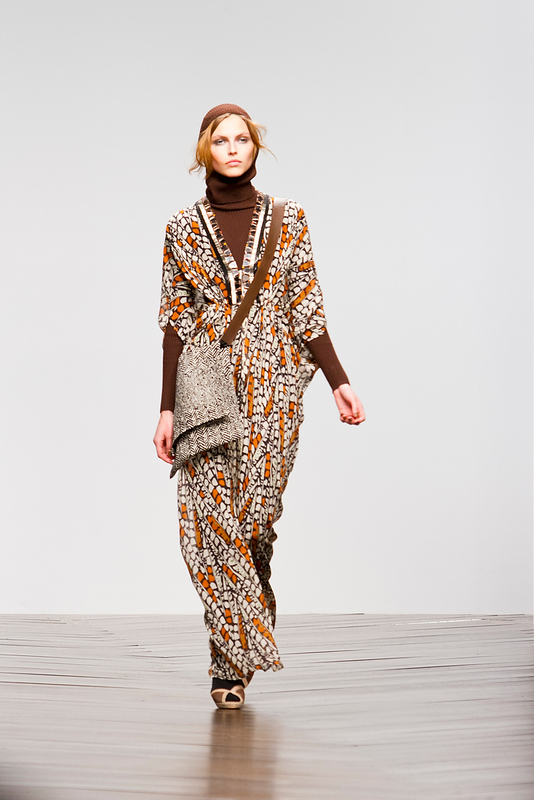 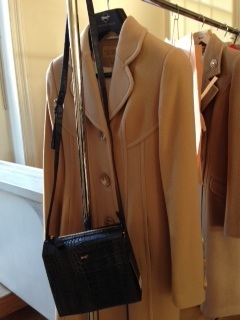 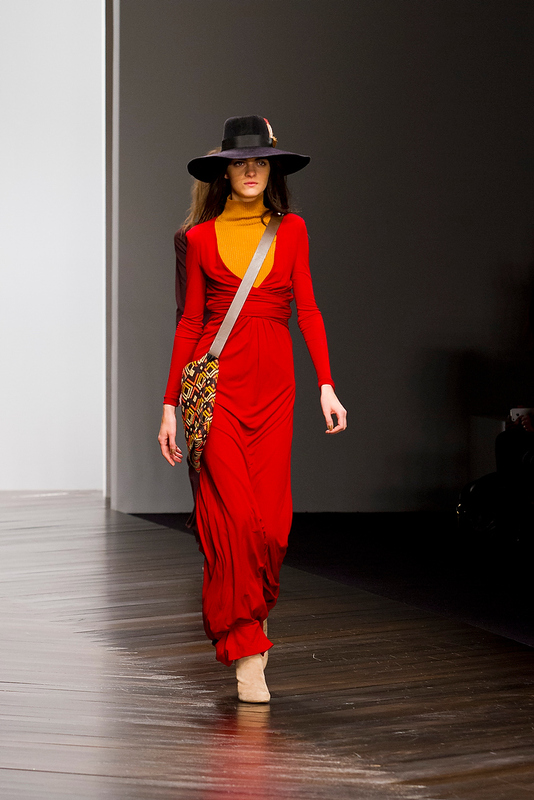 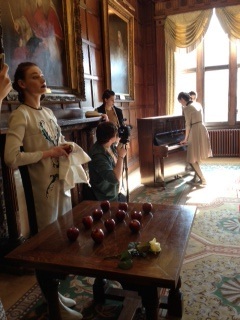 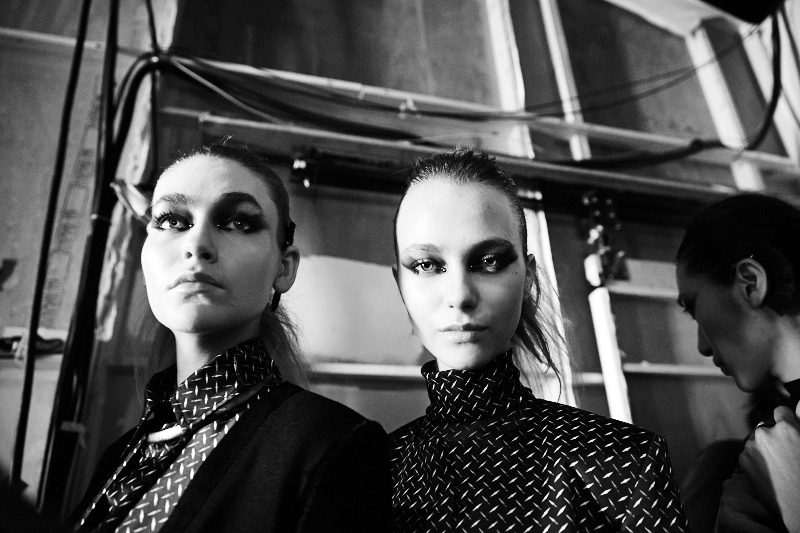 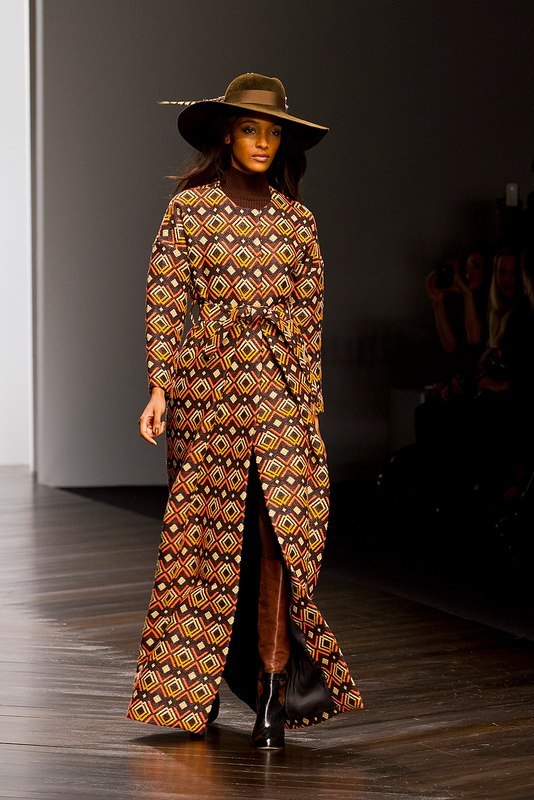 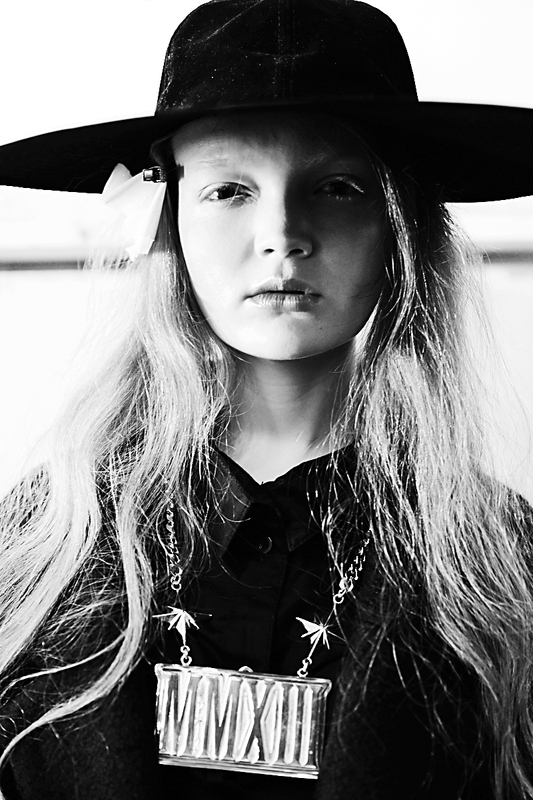 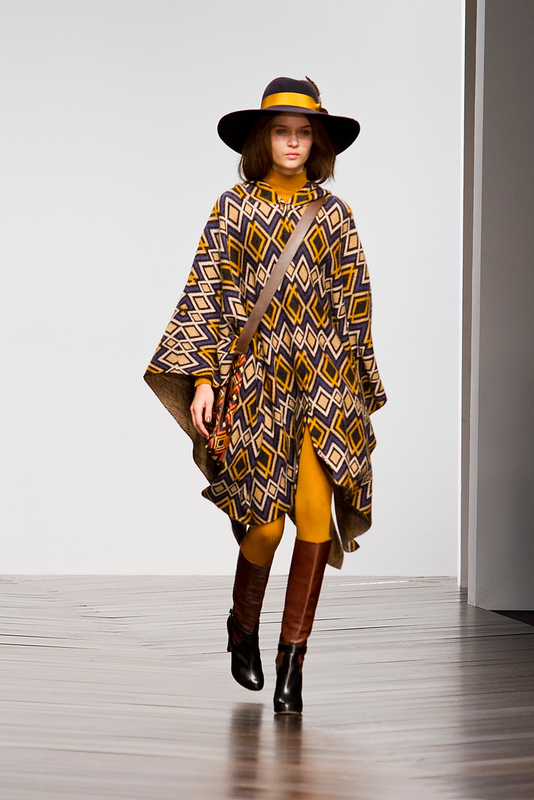 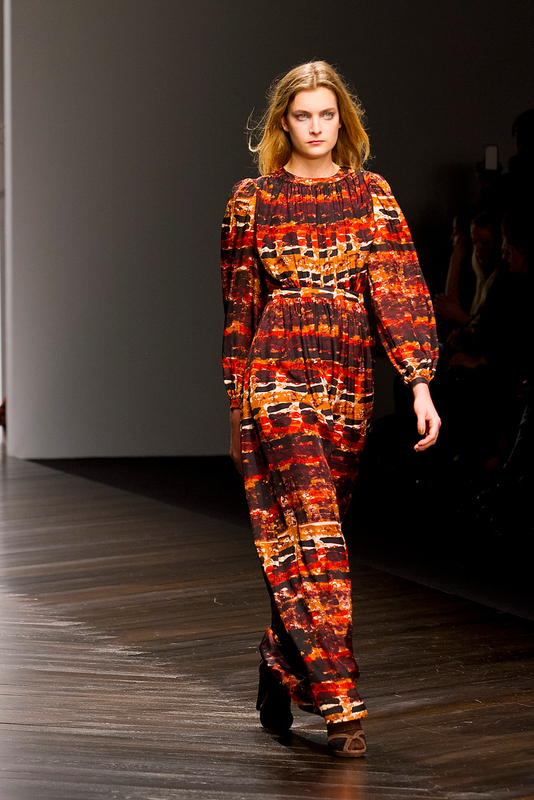 Issa’s new A/W 13 collection was one of the most anticipated at the London Fashion Week 2013. 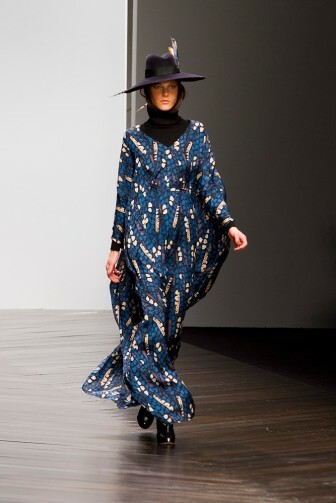 The designer showed her latest works on 16th February at Somerset House’s BFC Courtyard where most of the main shows are held. 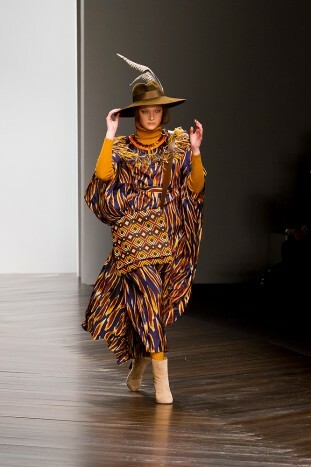 Issa’s main inspirations for the collection were the culture and land of Native Americans. The designer dug her hands deep into old traditions and what emerged from her journey of discovery was a new concept of elegance linked not only to ideas as beauty and style, but also to natural elements. 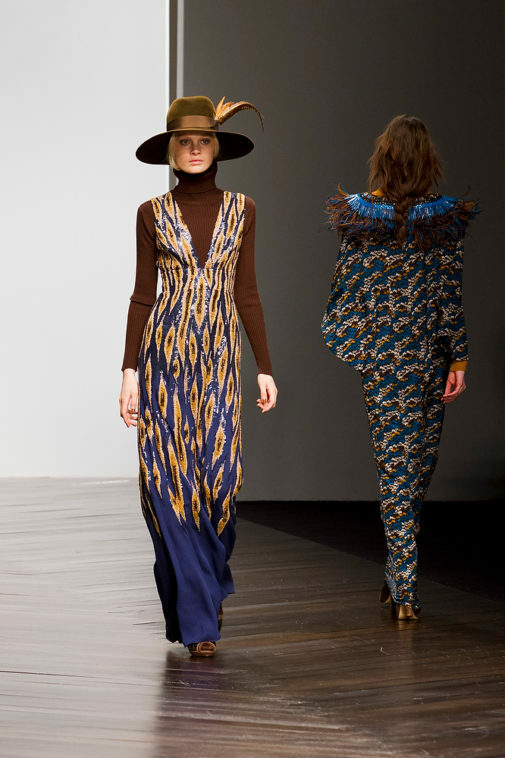 Supermodel Cara Delevingne was first to open Issa’s AW13 collection show. 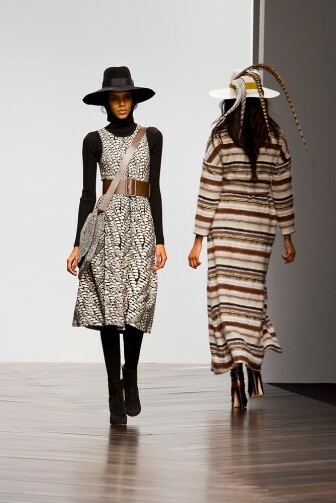 The first detail to strike is the presence of a long feather on the hats of every single outfit, it recalls the eagle, a totemic animal sacred to the Natives. 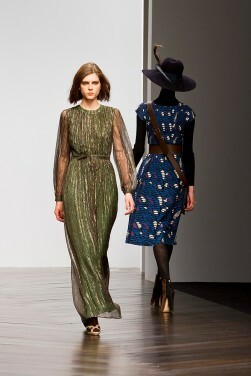 The fabric of her outfits is animated by a squared motive that calls back the surface of a river – in the blue dresses – and the skin of a snake, in the green suits. 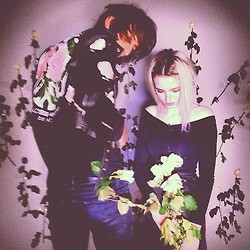 The designer uses different fabrics. 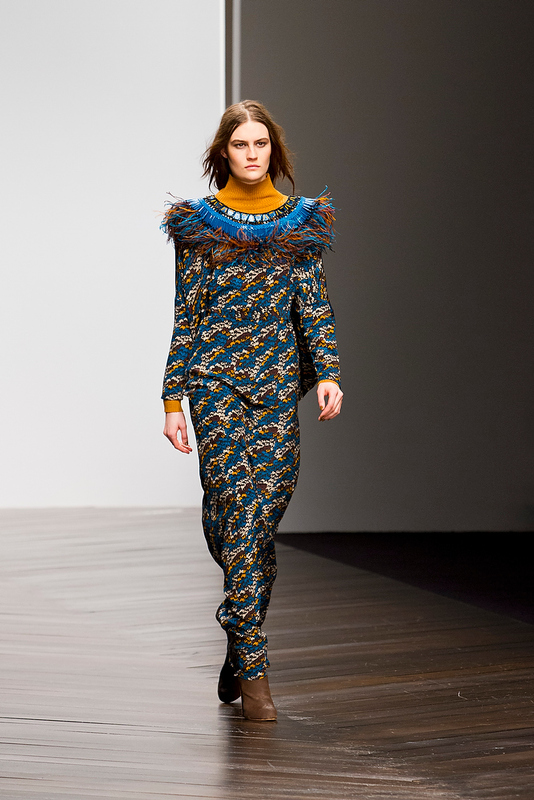 Matching wool and silk, Issa juxtaposes the weight of the different cloths obtaining a waving movement when the outfits model down the catwalk. 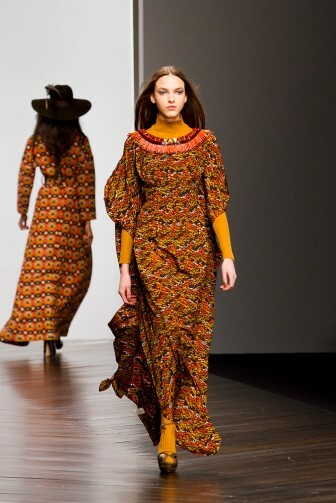 The different materials are worked in a way to humour the women’s body exalting it; even if the design works with heavy material as wool, she manages not to make the figures heavy. 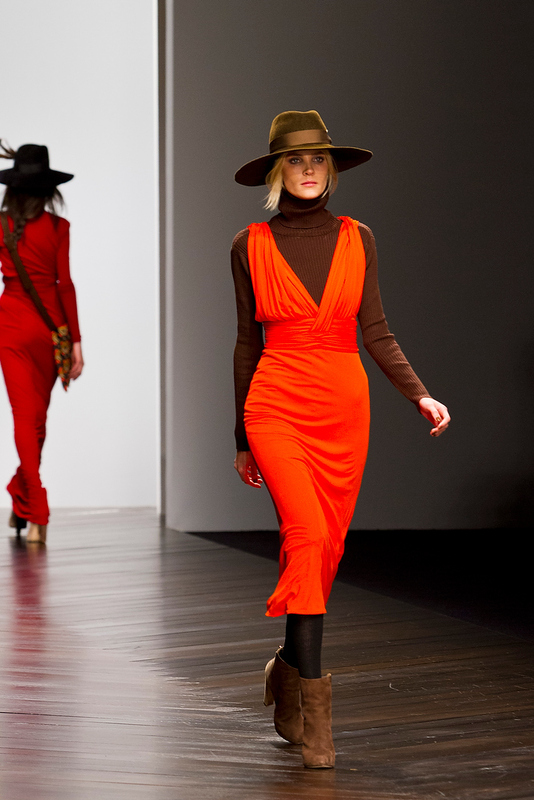 The predominant colours are dark – typical of the autumn tradition – and are matched and laid one next to the other; each nuance has its own space on the dress but the general impression that comes across is of harmony. 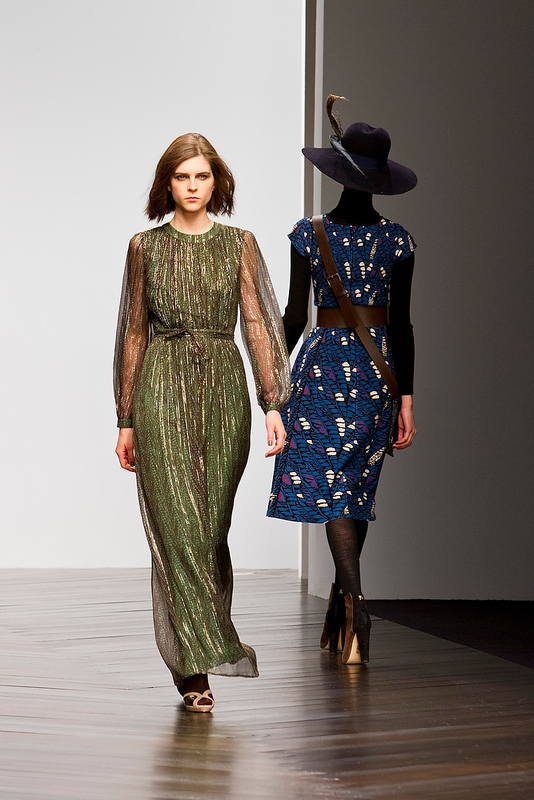 Issa plays with blue, beige, maroon, green and red – recurring element of the collections so far – and organizes the exit of the dresses so to create a graceful and gradual passage in the dark and cold chromatic scale. The grand finale is carried by the red and warm outfits. 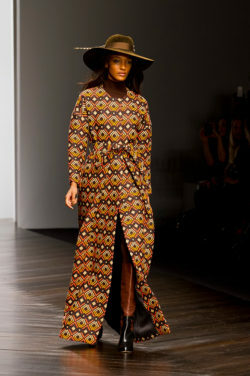 At the end of the show, Issa’s appearance on the runway is welcomed with enthusiastic and loud applauses.